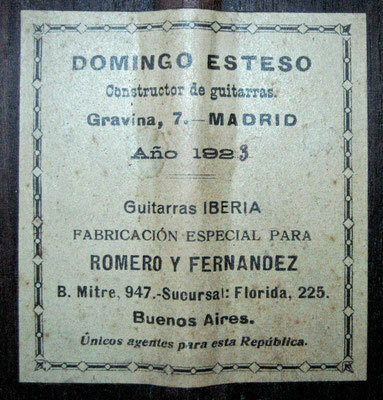 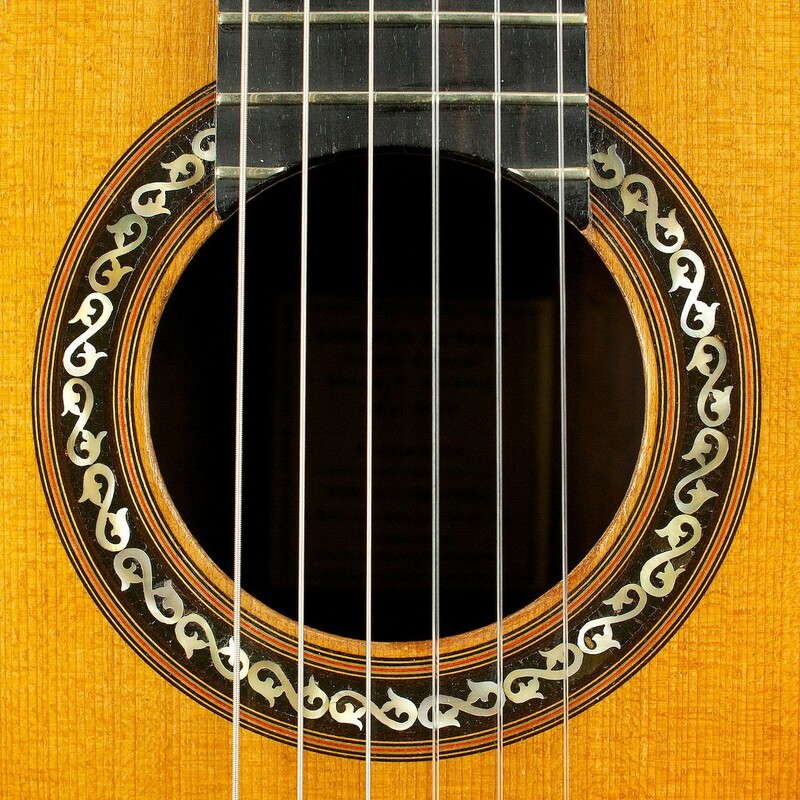 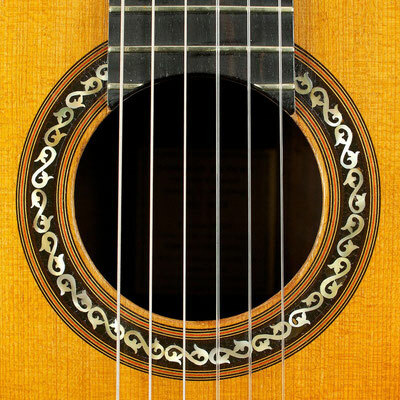 Domingo Esteso 1923 guitar. Original condition with some well repaired cracks. 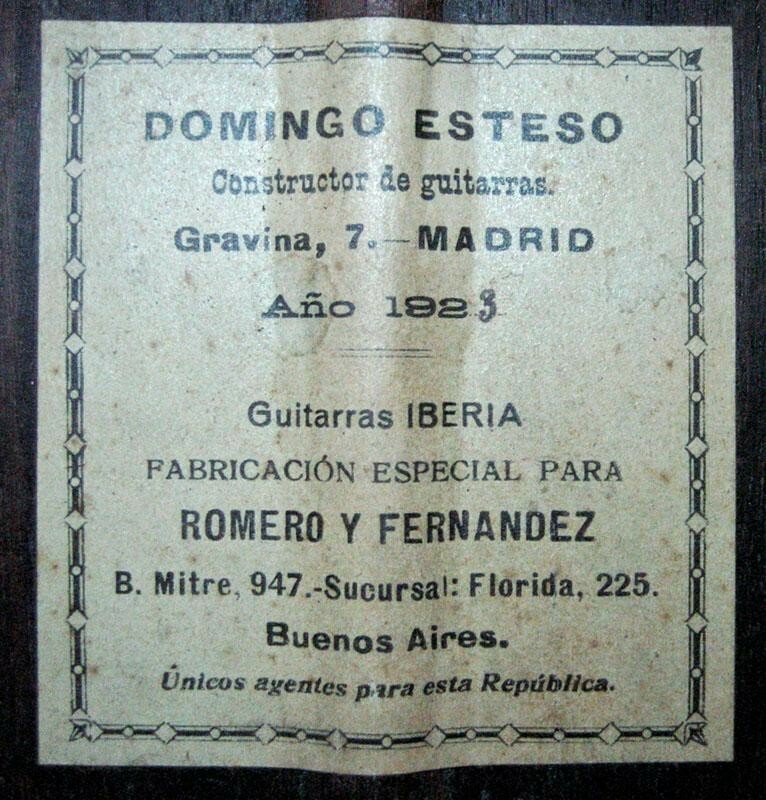 Domingo Esteso 1923 Gitarre. 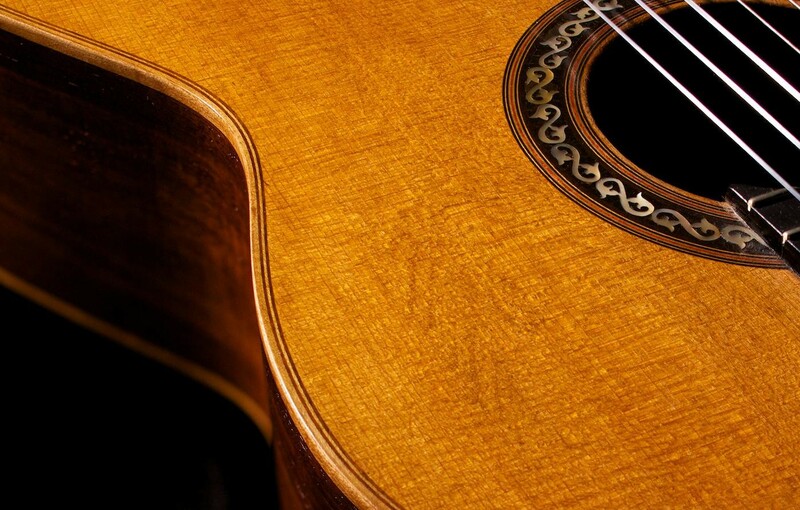 Original Zustand mit ein paar reparierten Rissen.